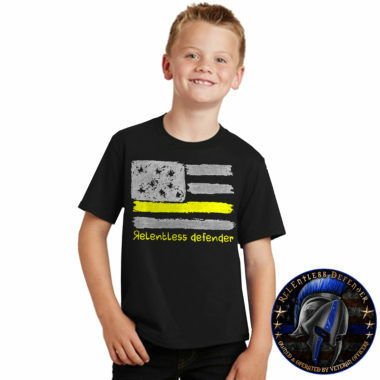 Police Shirts for Kids - At ReLEntless Defender, we carry more than just police-related apparel and accessories for adults. We also carry police shirts for kids including increasingly popular Thin Blue Line shirts for kids. 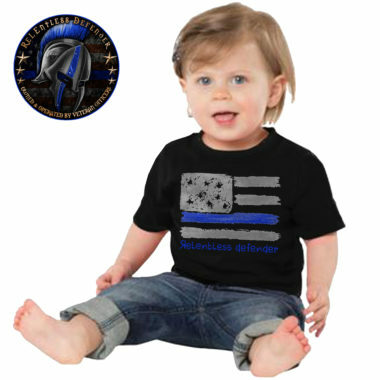 Our police shirts for kids are available in a range of youth sizes from XS to XL and toddler sizes from 6 Months to 6T. 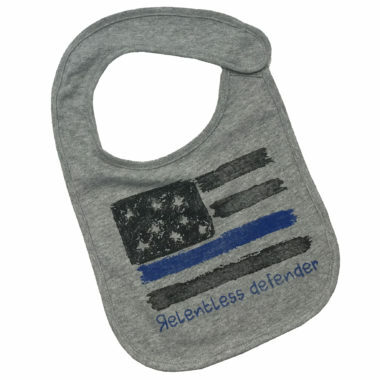 To ensure maximum durability and your child’s comfort, each shirt is constructed using 100% cotton. 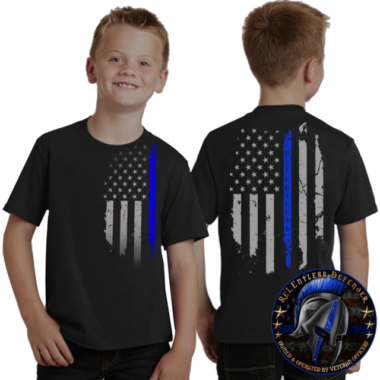 These Thin Blue Line shirts for kids are specially designed so that your children, nieces, nephews, and grandchildren can proudly show support for their loved one(s) in law enforcement. 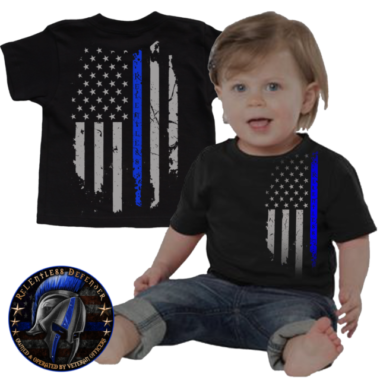 The graphics on our Thin Blue Line shirts for kids match the graphics on a variety of adult mens and women's shirts so the whole family can show their support for the law enforcement community.